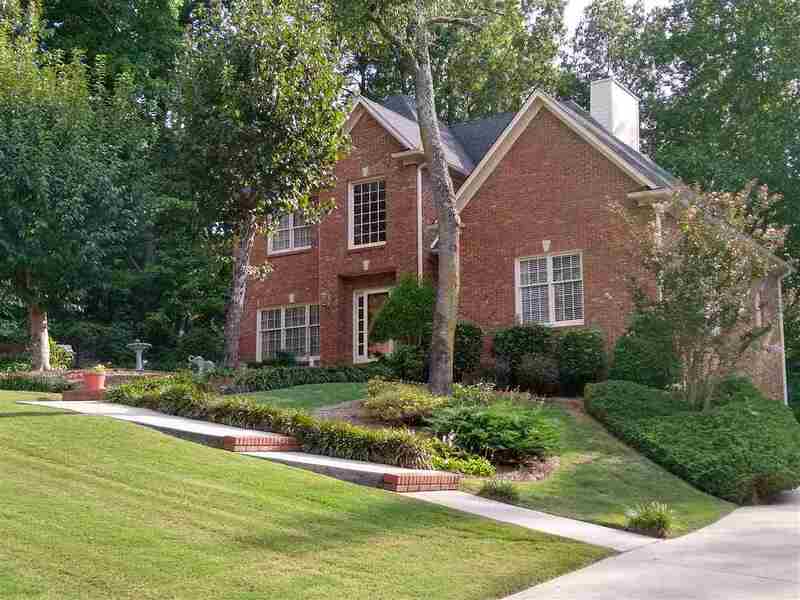 Full brick, 3BR, 2.5BA, daylight basement, wooded corner lot. Extra large Master bedroom on main level, with spacious Master bathroom - double vanity, walk-in shower, garden tub, walk-in closets. Fully updated kitchen, granite tops, backsplash, stainless appliances and sink. Eat-in Kitchen area and Dinning Room. Large Family Room with Fireplace. Half bath and Laundry Room off Kitchen area. Screened deck in rear opens onto a large open deck, overlooking woods. Patio under deck with entry doors to basement. Basement is stubbed for bath and den/recreation area, with large triple windows looking out onto patio area and woods. Two oversized bedrooms upstairs with true Jack and Jill bath room with separate vanities/dressing areas. Located near the 119 medical center, Lee Branch shopping center, theater, restaurants. Highly desired Oak Mt. School system.